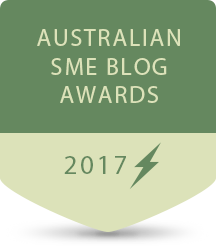 Top 5 Business Credit Cards in Australia - Is Your Business Using Them? If you are the owner of a small business, there is a good chance you have heard about business credit cards. A business credit card can boost your business’ purchasing power and is a good way to access quick funds if you are short of cash. However, if you are new to business credit cards you might be wondering how it is different from other credit forms. 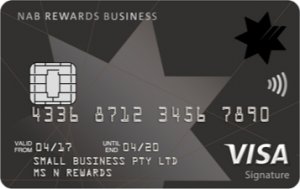 Before we look at the top 5 best business credit cards Australia, let us first understand what business credit cards are. A business credit card is a short-term, unsecured facility that is issued by a bank or financial lender and is used to make business purchases. The flexibility and convenience that business credit cards afford cardholders are what makes them appealing to small business owners. However, this benefit comes at a cost to cardholders as they attract a higher interest rate compared to unsecured loans. With that said, business credit cards can provide business owners with a much needed financial cushion if their sales are below expectations. There seems to be a fine line between business credit cards and personal credit cards. However, there are striking differences between the two credit cards which you should know. The first difference is that business credit cards have a higher credit limit compared to personal credit cards. If you find yourself making expensive purchases every month, a business credit card may be ideal for you. Compared to personal credit cards, business credit cards come with different types of rewards such as travel points and cash back. The other difference is that personal credit cards have their interest rates and fees capped while business credit cards don’t. That means you are likely to pay higher interest rates with business credit cards when you use it in future as the interest rates tend to fluctuate. This type of business credit card is ideal for business looking for a credit card with a low-interest rate and no annual fee. Low rate cards are usually more appealing to new or start-up businesses with low income or funds. Although it has no rewards or perks, this type of credit card comes with a lower interest rate, a low annual fee and increased interest-free days. The rewards business credit cards are good for businesses that want to be rewarded for spending on their credit cards. If your business has a higher spending power, you can take this credit card and enjoy rewards such as discounts, cashback offers, and free travel bookings. Unlike a bank loan, it is easy for your business to qualify for a business credit card even if your credit history is not well established. Once your credit card is approved, you can quickly withdraw cash or use it to make purchases. Today’s digital era have seen businesses go online to compete for customers. Business credit cards make it possible for business owners to go online and do business with vendors and suppliers. 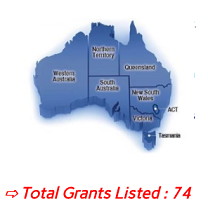 Below is a list of the best business credit cards Australia. This is a new business credit card that lets you earn huge bonus points once your card is approved. The benefits that cardholders can enjoy from the American Express Business Explorer Credit Card include free airline lounge passes, business loyalty every year and save on insurance. Here are the key features of Business Explorer Credit Card that make it stand out from the rest of the pack. So long as your card is approved by 10th October 2018, you are eligible to earn 75,000 bonus points if you spend $3000 on your business credit card during the first three months. This impressive offer is only available to new cardholders or members, including American Express companion cardholders that are issued by the bank. Cardholders are eligible to receive 50,000 bonus points if they spend $100,000after every 12 months. This program allows members to earn two membership rewards points for every one dollar spent on purchases and 0.5 points for every dollar spent on government expenses. These points can be redeemed if you want to make purchases or for gift cards. If this business credit card is used to make payment for business travels, cardholders will enjoy complimentary insurances on international and domestic trips. This will cover anything from flight delays, stolen luggage or medical emergency costs. You will get two complimentary entries every year to the American Express lounge at Melbourne International Airport or Sydney International Airport. 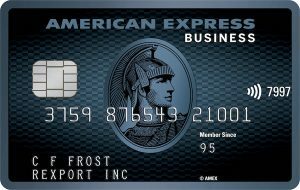 The American Express business credit card attracts $395 annual fee. This is a high fee compared to the previous credit card, but the good thing is that it is tax deductible if the card is used solely for business expenses. Are you a small business owner looking for a simple way to earn reward points on your business purchases? If yes, then NAB Rewards Business Signature Card is what you need to use. With this business credit card, you can earn triple the points on purchases done overseas. While this credit card may not boast lucrative features as some of the credit cards featured above, it comes with exclusive discounts and benefits which makes it one of the best business credit cards Australia. Check out the following key features of NAB Rewards Business Signature Card. If your application is approved by 7th October 2018, you will be eligible to receive 100,000 bonus points if you spend $5,000 on daily business purchases within the first 60 days of opening your account. Note that NAB does consider transactions for gambling as part of business purchases. This business credit card uses a Points Booster System to determine your earning points. Earn 1.25 NAB points per dollar for purchases made using this credit card. You will receive double points or 2.5 NAB points per dollar spent at hardware or department stores. Triple your points or receive 3.75 NAB points per dollar spent with Webjet while traveling overseas. The flexibility to redeem points that this business credit card offers is second to none. There are thousands of options you have to redeem your points, including travel, gift cards, technology, and homeware. The best part is that you can choose to reward your employees, business or yourself. You can convert your NAB reward points to the following airline programs: Cathay Pacific Asia Miles, Velocity Frequent Flyer, Singapore Airlines KrisFlyer, or Air New Zealand Airpoints. This card has an annual fee of $175 which means that you will pay $350 if you have two credit cards. What we like about this business credit card is the fraud protection feature which protects cardholders against fraudulent transactions. For some small business owners, it can be expensive to use a credit card because of the high annual fee among other costs associated with the card. If you want to save money on these credit card costs, NAB Low Rate Business Credit Card may come in handy. This credit card attracts zero annual fees during the first year of the application before changing to a smaller annual fee of $60 per annum from the second year onwards. In addition, NAB Low Rate Business Credit Card has zero interest rate during the first 12 months. That means you can pay your business debts without worrying about the interest rate. The following are the benefits of using this business credit card. If your application for the NAB Low Rate Business Credit Card is approved, you will have $0 annual fee during the first year. From there, a standard annual fee of $60 will be charged on this business credit card. During the first 12 months of using this credit card, you will not pay a dime on the interest rate. That means you can repay your business debts sooner without the added burden of additional costs weighing you down. In case the purchase balance is not paid during the first promotion year, it will attract a standard interest rate. Cardholders can have the peace of mind knowing they are protected from any unauthorized transactions made using their card. You can check their insurance policy document to see what is covered and how to make a claim. Although this business credit card attracts zero annual fees during the first year, cardholders have to pay a smaller annual fee in the subsequent years. 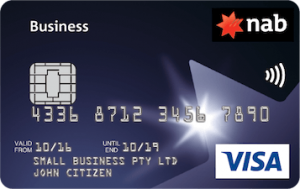 The fourth business credit card on this list of best business credit cards Australia is the Qantas Business Mastercard from Bendigo Bank. This credit card helps business owners manage their expenses as well as earn rewards for the purchases they make. If you want to apply for this business credit card, first check if you meet the minimum eligibility requirement. The first is that you must 18 years and older. The second is that you must be an Australian citizen or be a permanent resident of Australia. The third requirement is that you should not be insolvent or bankrupt while applying for this card. Once you apply online and are approved by 31st October 2018, you will receive 80,000 bonus Qantas points if you spend $2500 on purchases during the first 90 days of opening your account. 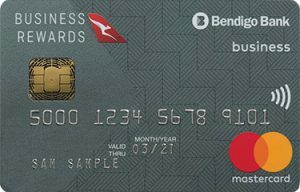 This business credit card lets you earn 0.6 Qantas Points per one dollar spent on purchases all the way up to 20,000 points every month. This covers everyday purchases but does not include balance transfers, cash advances BPAY payments or government charges. For new members of Qantas Frequent Flyer who sign up for this credit card, the joining fee of $89.90 will be waived off. The Bendingo Bank Qantas Business Mastercard attracts an annual fee of $149. This card also charges a purchase rate of 19.99% p.a. What we like about this credit card is that cardholders have access to 55 days interest-free days even if they have a balance. When you check online, you will see so many positive reviews about Chase Ink Business Preferred. This small business credit card was first launched in 2016 as a flagship business credit card from Chase. Our own research and comparison with competition have shown that this credit card deserves to be on this list, mostly because it can help so many businesses that need to travel a lot and has no foreign transaction fees for purchases made outside the US. The cell phone protection benefit that comes with this credit card can help safeguard against phone theft or damage. Once your account is approved, you can earn 80,000 sign up bonus points if you spend $5,000 on your credit card within the first 3 months. Although this is a wonderful feature that most business owners appreciate, the spending threshold of $5,000 is a little bit too high compared to similar credit cards. The rewards you get from this credit card can be quite exciting for small businesses. 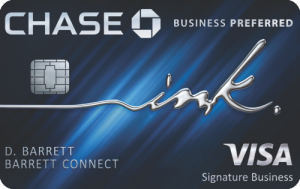 Chase Ink Business Preferred lets you earn $3 per every $1 on your first $150,000 spent on shipping purchases, travel, internet/phone/ cable services, and advertising purchases. From then, you will earn one point per dollar spent on other purchases. Chase Ink Business Preferred lets you transfer your points to other travel programs on a 1:1 ratio. Some of these travel programs include British Airways Executive Club, Korean Air SkyPass, Virgin Atlantic Flying Club, Singapore Airlines KrisFlyer, United Mileage Plus among others. With Chase Ultimate Reward, you can increase your points by 25 percent if you redeem it for car rentals, hotels, airfares, and cruises. This business credit card comes with an annual fee of $95. You can offset this fee if you can earn at least 9500 points every year. In case you are not able to use this credit card regularly, it is best you consider a credit card with no annual fee. What’s your favorite? Do you have a favorite? Share it with us and let others know how they can save and push forward their business by using a business credit card.